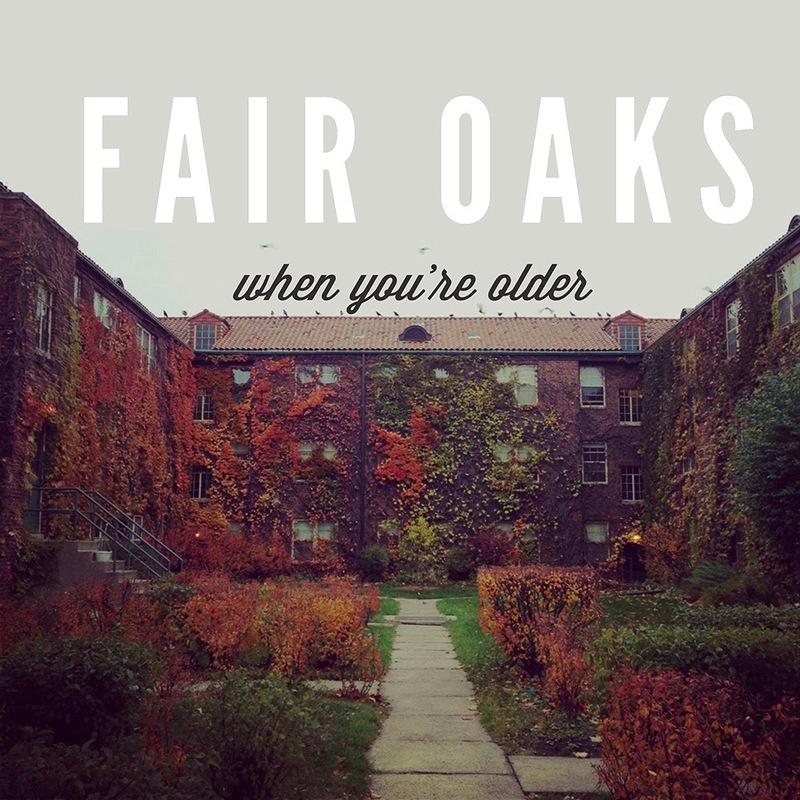 Fair Oaks is the coming together of two cities in Minneapolis-Saint Paul, Minnesota and the latest project for people from various bands like Andy Ulseth With Broken Bones, Colder In Moscow, Lotus Eater, and mondOmega. Yeah, we haven’t heard of those bands either, but we have heard When You’re Older, the debut single from the newest five piece around, and it is pretty lovely to hear indeed. With the new year bringing everybody back into the grind of routine, things could seem a little rubbish and bleak after the first day back, however Fair Oaks has provided us with a song that throws all dreariness aside and makes you appreciate the finer things in life. This track features the bedroom-recorded dreaminess that brings aspirations far higher than the computer screen, the instrumentation is uplifting to the point of adding a little spring in a person’s step, and the male/female vocals is cute enough to add a cherry on top of what is the most wonderful listening experience heard so far this year. If only there was more of this year gone to show how much we really mean that. For a song as lovely as this it’s difficult not to want to check out Fair Oaks’ debut album This Is The River, which is what we’re going to do right away. Download When You’re Older on the band’s Bandcamp page, and do something nice today to show how much this has lifted your spirits. Stroke a dog that looks lonely, help an old lady across the street, tell everyone how great Exploding Head Syndrome is. Something like that.